Here it our first freebie from codesignwall.com. Anyway we are starting with an under construction HTML template. This have a countdown option, which will count downwards. 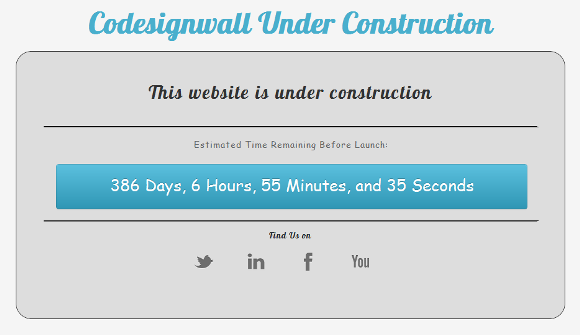 Codesignwall Under Construction HTML Template is suitable for those who are planning to launch their new website. Download the file and unzip the entire folder. Folder will contain a index.html, style.css and two folders named JS and images. Replace date with your own date. You are done, countdown is ready and can move towards the next step. Here we need to search for these codes in index.html file. Replace all those urls with your own.